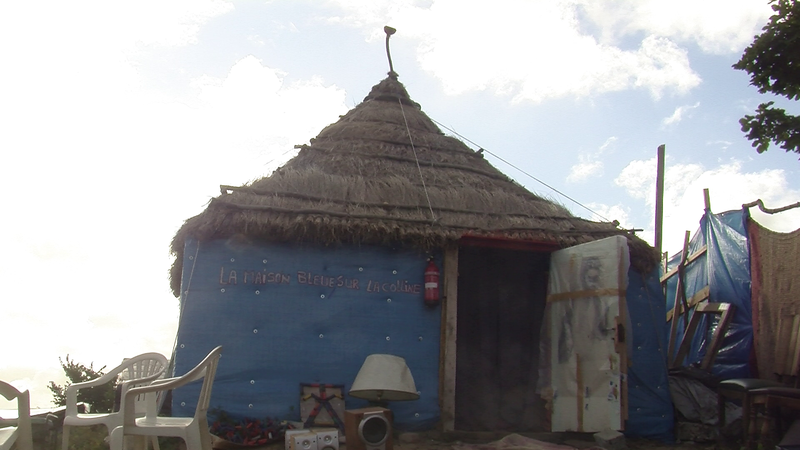 The blue house is in the Calais Jungle. In this site, takes place our reunion with Alpha, after ten years of wandering between Africa and Europe. It's a journey between two courses, between two worlds, it's a journey to face the barbarity of the present. It's a journey to end the flight. It's a chronicle of a nomadic artist.